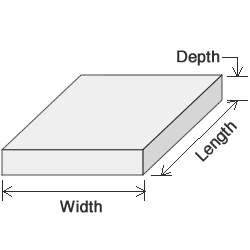 Calculate volumes for concrete slabs, walls, footers, columns, steps, curbs and gutters. 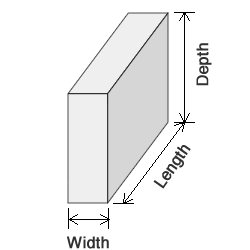 Enter dimensions in US units (inches or feet) or metric units (centimeters or meters) of your concrete structure to get the cubic yards value of the amount of concrete you will need to make this structure. 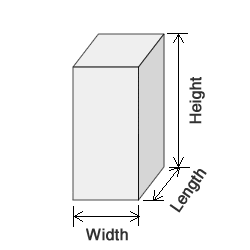 Also enter quantity and price to calculate total volume and cost of materials when you enter the price per cubic foot, price per cubic yard or price per cubic meter. 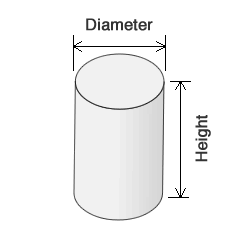 For example, let's say you have 50 round concrete form tubes, sonic tubes, Sonotubes or cement tubes that you need to fill. They are 4 feet in height and 10 inches in width (diameter), or 4' x 10". Number of Steps is the total number of steps including the platform. 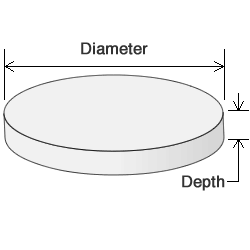 We calculate the volume in sections from the ground to the top of each section. 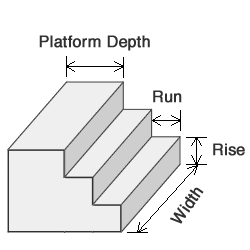 The platform and each step are each sections. Counting steps starting at the bottom step and not including the platform we'll have Step Number 1, Step Number 2, Step Number 3, etc. 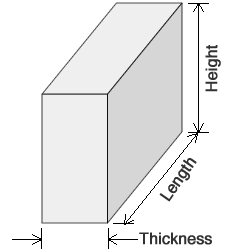 We calculate the volume in sections from the ground to the top of each section. 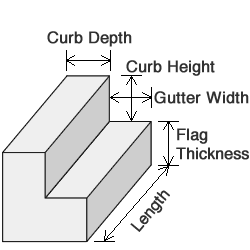 The Curb and Gutter are each a section.